It’s Christmas come early for the Roughnecks. On Tuesday, the Riggers brass will stand at the podium in Philadelphia and call out names they hope will have a major impact on the franchise’s future. And with four first-round picks – that’s right, four! – there’s plenty of reason to be excited. With that in mind, let’s look back at some of the Roughnecks’ memorable draft picks from years past. Let’s start all the way back in 2001: Christina Aguilera’s Lady Marmalade was the No.-1 song, while Brad Pitt and Jennifer Aniston were the hottest celebrity couple. And the Roughnecks made one of the most notable picks in club history, when they selected Edmonton native Blaine Manning in the first round, second overall. It was the first pick in franchise history, but Manning never played a game in a Roughnecks jersey. Not long after selecting him, the Roughnecks dealt him to the Toronto Rock along with a first-round pick to bring hometown boy Kaleb Toth back to Calgary. Of course, the gifted righty with the booming shot played 11 season for the Riggers, tallied 628 points (274 goals, 354 assists) in 160 games, helped the team win two NLL titles (2004, 2009) and ranks as one of the most popular players in franchise history, with a banner now hanging in the Scotiabank Saddledome rafters in tribute to his career. The following year, in June of 2002, the Roughnecks selected a 19-year-old defender from B.C. in the second round, 14th overall. His name – Andrew McBride. He, too would go on to have one of the most impactful careers in team history. From 2003-2015, he was an integral part of the club’s defence and would eventually would earn the captain’s C on his jersey in 2011, donning it until his retirement. Over his career, he captured two NLL Championships, scooped 711 loose balls, and chipped in 87 points. McBride also set club records for both games played at 198, and most penalty minutes at 360. In 2003, the Roughnecks selected defender Taylor Wray in the first round, second overall. Wray played four seasons with Calgary before joining the Philadelphia Wings. In that time, Wray recorded 393 loose-balls, and 55 CTO’s. He also scored 21 goals and notched 46 assists. While his time in Calgary was shorter, he had a massive impact on the floor and would be named rookie of the year and co-defender of the year in his first campaign. 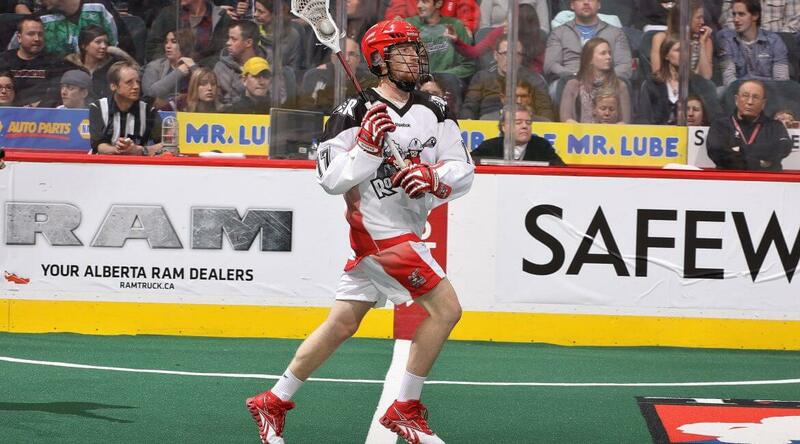 He played a major role in the team’s first NLL championship. Four years later the Roughnecks drafted their current all-time franchise leader in points, goals, and powerplay goals. You guessed it, Dane Dobbie. Since being taken fourth overall in 2007, Dobbie has had a prolific career: 751 points, 371 goals, 11 incredible seasons. Dobbie wasn’t the only big name from that draft class. Former Roughnecks defender Peter McFetridge was also selected in the first round, 10th overall. McFetridge played nine seasons with Calgary before joining the Vancouver Stealth ahead of the 2017 season. With the Riggers he scooped 275 loosies, caused 45 turnovers, and recorded 60 points. Then in 2008, we found Doc. Defender Curtis Manning was drafted in the first round, 16th overall, and has put on a clinic over the years. In nine seasons, he’s scooped 571 loose-balls, had 109 CTO’s, 21 goals, and 45 assists. Then, in 2010, the Roughnecks spotted something in the sky. It wasn’t a bird, nor a plane, but it was Curtis (Superman) Dickson. Dickson was selected in the first round, third overall, eight seasons ago. Since then, he’s been an offensive powerhouse – cresting 600 career points this past season, now sitting at 641. Also drafted in 2010 was current Roughnecks captain and defender, Dan MacRae. A leader on-and-off the floor, MacRae has scooped 599 loose-balls in his career, caused 138 turnovers, and tallied 89 points (19g, 70a). And in more recent years, the Riggers have continued to load up on talent by drafting Tyson Bell, Christian Del Bianco, Wesley Berg, and another local product – Holden Cattoni.